You’ve drawn a license for the fastest land animal in North America, the Pronghorn! Well that’s great but how do you know what to look for in a mature buck? 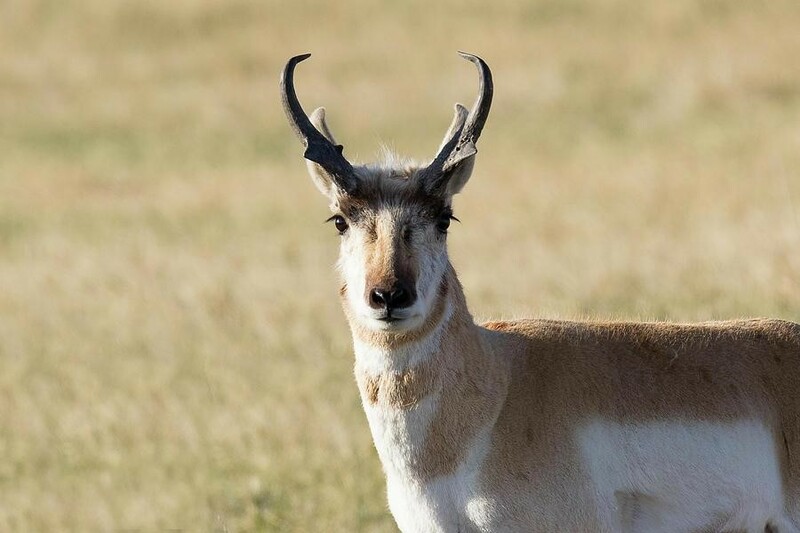 The pronghorn is one of the most difficult animals to judge in all North America. I’m speaking in terms of antler size of course! 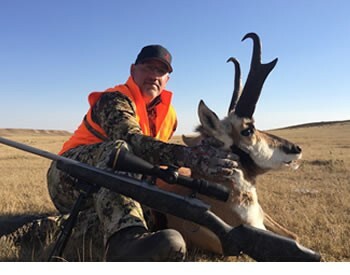 Even after being a professional big game hunting guide in Wyoming for seventeen years I still misjudge pronghorn on the hoof. 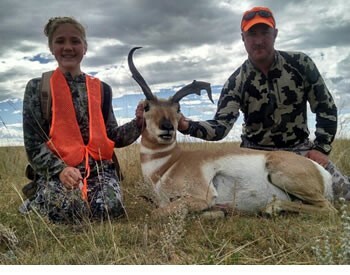 Now pronghorn are not antelope but are often referred to as such because they closely resemble the true antelope in Africa. So, I will use both terms as I refer to them in this article. We regularly call them “speed goats” as well (because of their similar features to goats and notorious speed). Mass is the most important factor when it comes to score. Now, you’ll see in the figure that two mass measurements fall below the prong and two above. If the third mass measurement spot falls below the prong you are getting a much bigger score than if it is above, so keep that in mind. When judging a buck, you’ll be critiquing three main things: mass, length and prong size. OK, so how does one take this basic knowledge to the field and successfully judge a goat at 1,000 yards!? I’ll give you a couple quick, handy tricks to do so. Look at where the height in which the prong comes off the main antler. If it’s below the ear, then it is most likely a younger buck. If it’s equal the height of the ear or higher then you’re looking at a mature buck. Study each buck and make sure you get a good look from every angle possible. This will help you judge the three main aspects discussed earlier. The most important angle is the side or profile. 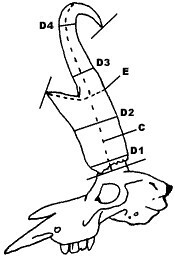 This way you can determine relative mass, length, overall antler curl and prong size. Every buck is unique so the more angles the better. It’s easy to look at a buck from straight on and say, “oh that’s a big one!” But don’t fall for it! He may not have much mass, or he may not curl making him look taller that he is, or he may not have much for prongs. Think about all other factors at play. Is the buck alone during the rut? If so, did he get run off by a bigger buck? Are you looking at a buck among a big group of bucks during the rut? If so, he may be a younger buck hanging with other young bucks because they can’t get close to the does. Has it been a good year in terms of habitat? Is it an area known for producing big bucks? 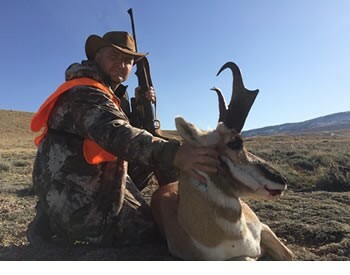 Body size can help in some cases when looking at comparable bucks at great distances. Look for a stout block body with a thick neck and a big belly. Sometimes older bucks are lighter in color, but I’ve found that color varies greatly and doesn’t always indicate a bucks age. So, let’s recap on the three main aspects of the antlers: mass, length and prong size. Mass is the most important attribute in terms of overall antler size. Look at the eye in respect to the size of the antler from the side. If the antler is as wide as the eye or wider you know you’re looking at some decent mass. Big bucks will have a circumference at the base of 6 inches and more. 2. Length is perhaps the first thing we notice and the most impressive part in the overall “look” of a buck. Some bucks have huge curls that make them look cool (I love the heart-shaped ones). 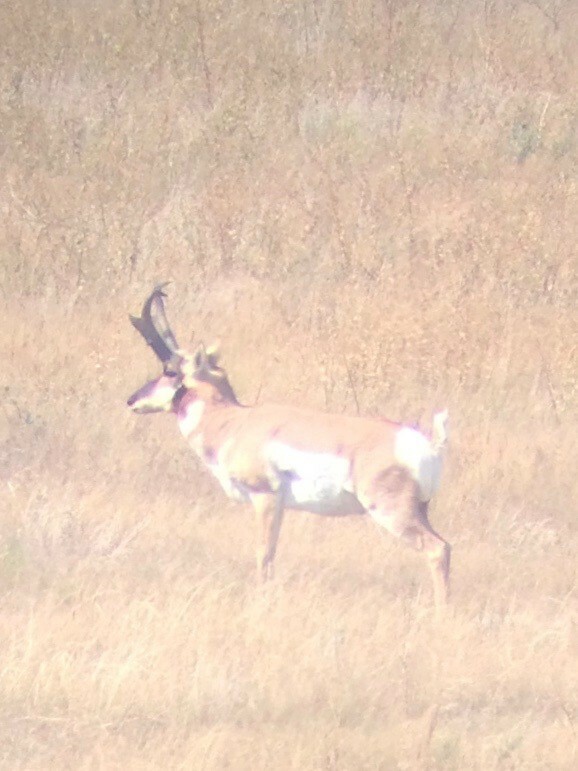 Some bucks don’t curl much which makes them look taller and that can be neat as well. 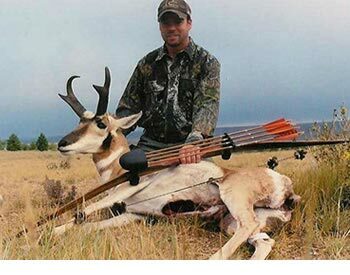 Mature bucks range from 12 inches to 16 inches and up. When looking at a profile view try to estimate how many inches the tip of the antler is above the ear. 3. Prongs are the awesome features that make the pronghorn so unique! They can stick out, go up, go down, curl in, curl out, etc. They usually aren’t more than 5 inches, but some bucks get huge prongs that go 7 inches and over. The prong adds another big contribution to the “overall” look of a buck. Pronghorn are unique in so many ways and they all differ from one another. The next time you’re out chasing “speed goats” remember the guidelines for field judging them but also remember the true trophy is in the eye of the beholder!